Interesting in getting into wakeboarding? Look no further for the right gear and expert advice to get you going. Wakeboarding usually involves riding the wake behind a boat, but you can also hone your skills at a local cable park. We also offer wakeboarding lessons to help you learn the basics or improve your wakeboarding skills. 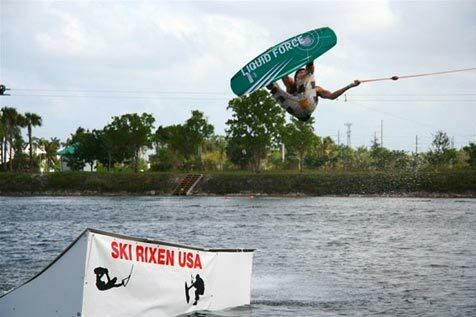 Jupiter Kiteboarding offers an extensive line of wakeboarding equipment. We carry only the safest and most reliable brands at highly competitive prices. Check out our online catalog or come see the selection in our store. In order to get going, you'll need a few main things: a wakeboard, wakeboard bindings, and a line and rope set-up. It's also important to consider safety and weather protection accessories. Jupiter Kiteboarding carries a variety of lycra tops and wetsuits, which provide ideal sun, chafe, and cold protection. Water shirts or neoprene tops are highly recommended, especially when wakeboarding for extended periods of time. Wakeboarding is really all about energy transfer. You don't have to work all that hard to get air...stand tall and move with the wake. Don't try to do too much too quickly - that is when you lose all of your power. Keep yourself tall, and your upper body aligned with your legs, with your arms outstretched. 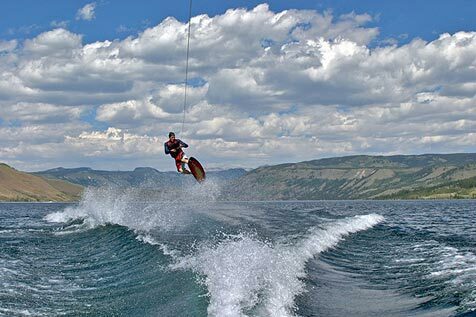 If you can hold this stance, and are able to get on edge, your wakeboard will actually create energy pushing you into the air as the water pushes the board back up to the surface. As you approach the wake, edge harder and hold your edge all the way through for maximum energy. Focus on really mastering the basics, and add style as you go. 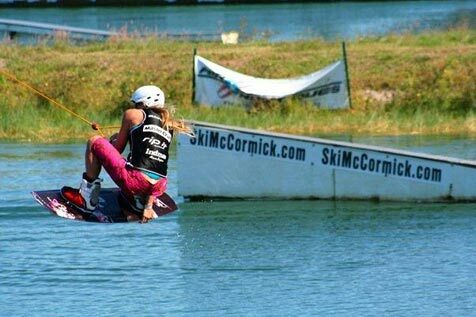 Take lessons, watch wakeboarding videos, practice, and have fun!